This 2017 BRZ Series.Yellow was parked behind the service bays when I picked up my Forester today. So of course I took many pictures. The plate is from a different dealer, so maybe this was a fresh transfer. 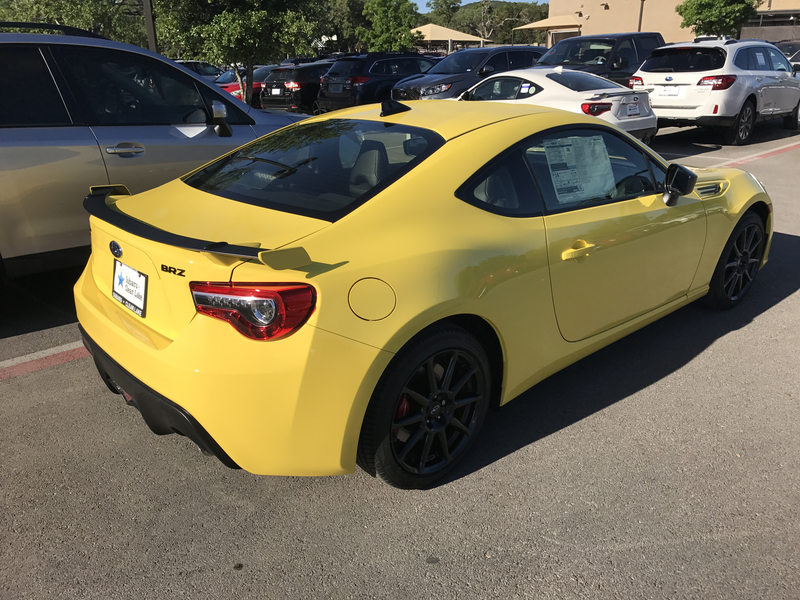 $31k is a little steep considering it is mostly looks and a brake package, but it is a yellow Subaru so it gets some points for that. Same shift knob that I have in my Forester, except for the pattern - these have R next to 1 as God intended instead of next to 6 like my car. Those seats look like a very nice place to be.